Journal of International Academic Research for Multidisciplinary, Volume 3, Issue 5, June 2015. Egyptian Dental Journal, Volume 61, (No.1), P: 415-425, January 2015. Sudan Journal of Medical Sciences (JMS), Volume 9, No. 1, Mar 2014. American Journal of BioMedicine, Volume 2, Issue 2, February 2014. Amani Nour El-Din Abd El-Latif, Sahar Mohamed Elsheikh, Hashem Mohamed Hassouna. American Journal of Life Sciences, Volume 1,(No.3),P:130-135, June 2013. 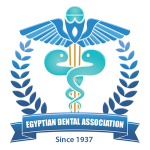 Egyptian Dental Journal (EDJ), Volume 59,(No. :4) P:4207-4217, October, 2013. Hall’s Critical Decisions in Periodontology & Dental Implantology, Fifth Edition, Chapter124(P:335-338), 30 April 2013.
International Journal of Prosthetic Bentistry, Volume 3, No. 1, 2012. Amani N. Abd El-Latif , and Ibrahim M. Zeitoun. Life Science journal Volume 9(No. 4):593-596, 2012. Amani N. A., Abany M.H. , and Fata M.M. Sahar Elkholy, and Amal Ezz-Eldin Fahmy. Egyptian Dental Journal, Volume 57, (No.4) P:3641:3651, October, 2011. Egyptian Dental Journal, Volume 57, (No.2) P:1783:1789, April, 2011. Egyptian Dental Journal, Volume 57, (No. 2)P:1585-1593, April,2011. Amany A. El Hadary, Hala H. Yassin, Sameh T. Mekhemer, Julian C. Holmes, Martin Grootveld. Eman H. Nafea, Manal M. Saad, Magda A. El-Massik, Labiba K. El-Khordagui, Mona K. Marei, and Nawal M. Khalafallah. Alex. J. Pharm. Sci., Volume 25,(No. 1):19-25,March, 2011. Nabila A. Sedky, and Mohamed Mohy El-Din. Egyptian Dental Journal, Volume 56, (No. 1):365-373, January,2010.